Hi there, My name is Larry Henderson. I live in west central Ohio. About four years ago I started searching for a Plum Crazy w/ white int. 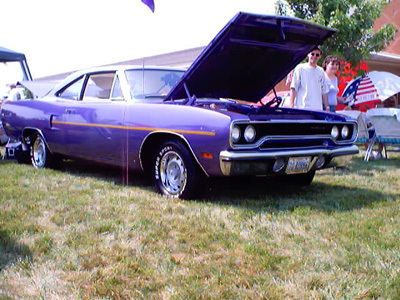 GTX or Roadrunner. After about a year and a half of web surfing I found my car in a little town just outside of Fresno, Calf. Three months of negotiating later I made a trip to meet the owner in Oklahoma where we signed the deal and I brought my prize home. With a lot of elbow grease and detailing I brought the car up to show status. 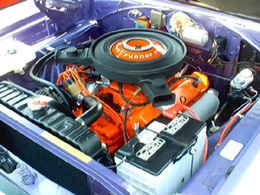 It's a #'s matching '70 Roadrunner with 89,000 miles on it. The car had been in storage since 1981. It's powered by a 383 Magnum/ 4sp. w/ 3;23 gears. Only options are the white deluxe int., an AM radio, and Ralley wheels. So far it's been a proven trophy winner at all the local shows and once took a top 25 at a show of about 250 cars.It's a fun car to drive and it gets a lot of attention at cruise-ins. 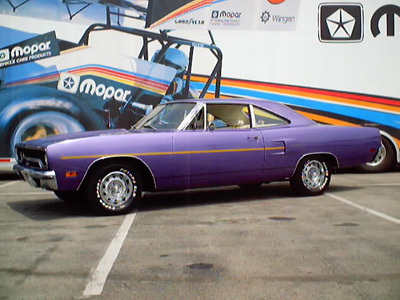 Wondered if you might consider it for your Mopar of the month photo. 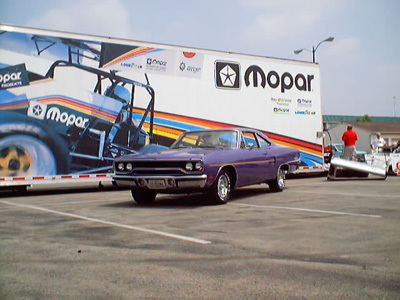 The Mopars Of The Month Site is an independently operated Mopar Enthusiast Internet site. Built for Mopar Enthusiasts by Mopar Enthusiasts. Our site and network of Mopar related sites are not affiliated with or directly sponsored by Chrysler Group LLC. Dodge, Chrysler, Jeep, Plymouth, Ram and Mopar are all trademarks of Chrysler Group LLC and are used only for descriptive purposes.